All your miniatures are neatly stowed away, only your colors are scattered on your hobby desk? 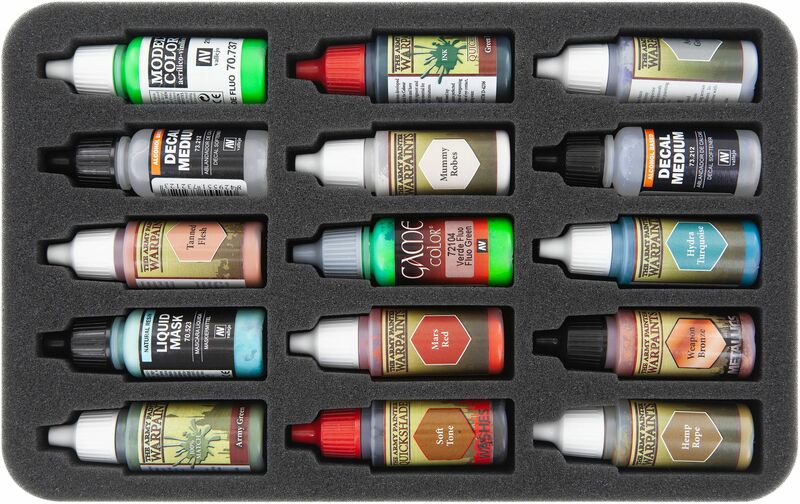 You want to paint your minis on the road, but don't know what's the best way to transport the color bottles and brushes? Luckily, we have the solution to your problem. Because with our Magnetic Box set you always keep the overview and are able to take the brushes and colors always with you. 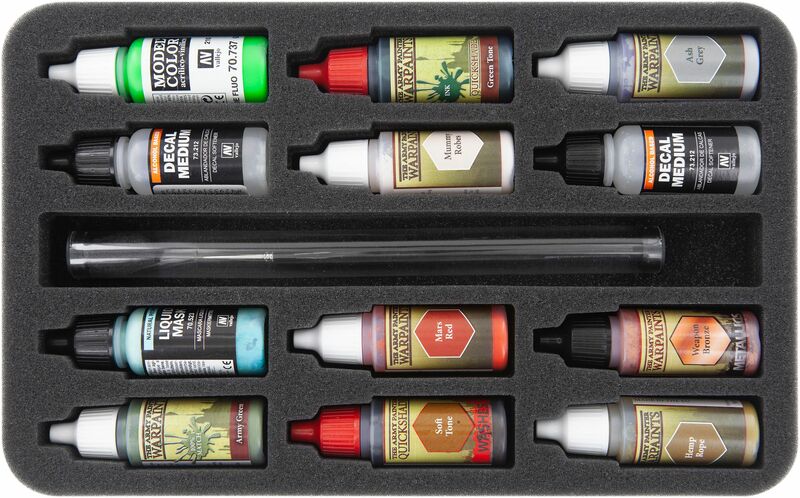 A total of 27 compartments are designed for standard Vallejo or Army Painter bottles. Of course it will hold same-sized bottles of other brands, as well. A matching foam topper completes the set and your colors are hereby clearly arranged and always ready to travel. 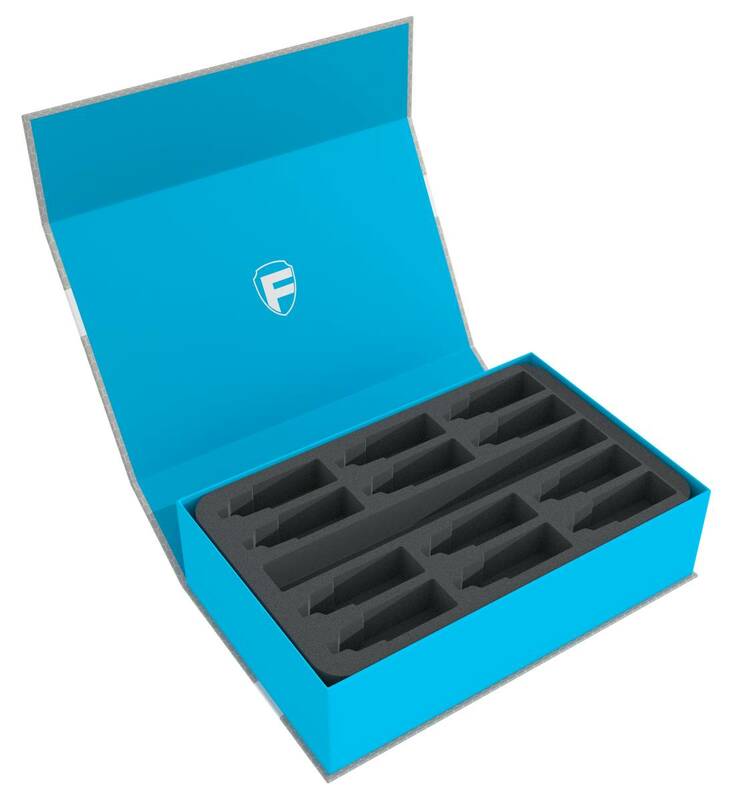 The Magnetic Box is the ideal solution for storage and transport due to its low weight and the flat, rectangular shape. It consists of coated solid cardboard in modern Feldherr design. The blue box, in which the foam mats are placed, is firmly glued to the casing. This also serves as a lid. Two integrated magnets on the flap and front allow a seamless and easy closing, so that nothing gets lost during transport.